For applications specifying SAE 80W-90 conventional gear lube. Provides improved cold flow properties, high viscosity index and heat resistance. Contains an over-treat of high-quality additives, exceeding the minimum standards. Provides excellent wear protection and long equipment life. Formulated with advanced friction modifiers. Eliminates gear-housing chatter in cars, trucks and SUVs equipped with limited-slip, positraction and locking differentials. For use with both synthetic and petroleum gear lubricants and safely replaces manufacturer-recommended friction modifiers. Specifically designed to fit AMSOIL quart, gallon and Twin Pack bottles. 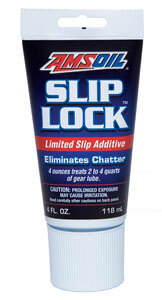 Guarantees efficient, quick dispensing of AMSOIL gear oils, transmission fluids and any oil that may need to be pumped. Great for fluid fills in differentials, transmissions, transaxles, boat lower units and boat sterndrives.